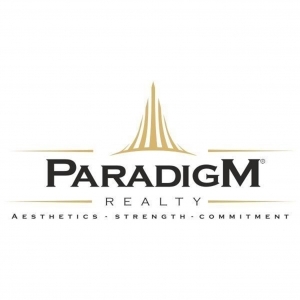 Paradigm Realty is an organisation spearheaded with credible experience of delivering cutting edge Real-Estate to the city of Mumbai by employing global contemporary techniques, which ensure quality standards and timely delivery of their product. The synthesis at Paradigm is to deliver comfort homes catering to practical needs of end-user including cross ventilation, minimal floor-space wastage yet matchless aesthetics, dedicated functional areas & tailored budgets. The group’s focus areas are Western Suburbs of Mumbai including Santacruz (W), Khar (W), Borivali, etc. Paradigm’s mission as a niche property developer is to deliver avant-garde homes, which become a sojourn of solitude in a multitude city of Mumbai. Our group of real estate developers in Mumbai is an eclectic mix of diversified yet aligned individuals focused on creating marvels, which are based on utilitarian concepts and designs, which are a beautiful interplay of curvilinear detailing and straight-line architecture. Paradigm Realty encompasses trust, transparency and honouring commitment as its ethos and pillars. Mr. Parth Mehta, Managing Director – Paradigm Realty has almost decade of rich real– estate background post completing his management studies from SP Jain Centre of Management. He started his journey as a business development manager in Wadhwa Group of Companies one of the reckoned names in Mumbai real estate fraternity. Over the years with his expertise, depth of knowledge, strategic decision-making and applied methodologies of project execution he was conferred the position of CEO at Parinee Realty. In 2015, Mr. Parth Mehta started his own entrepreneurial venture called Paradigm Realty and commenced operations with the motive to offer the best in the affordable luxury housing segment. Under the leadership of Mr. Mehta, Paradigm Realty is marching with the torch of affordability and quality with the aim to deliver projects of nearly 2 million square feet in its third year of operation. His inherent passion for excellence, business acumen, and in-depth knowledge as an industry professional has contributed to the successful completion of residential projects at the best suburban locations like Khar, Santacruz, and Borivali. The company has recently launched new projects in Andheri, Oshiwara, and Thane expanding its footprint further. His dynamism, sense of best practices, ethics as a learned professional, understanding of ergonomics and formulation & execution of contemporary management practices has enabled the brand to carve out a niche for itself making it cognizant as one of the mid-sized firms in Mumbai Real Estate Fraternity.